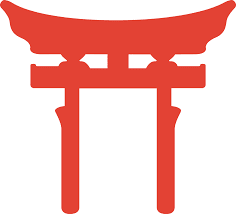 On Tuesday the 20th of June Jenny Raper presented this introductory paper for the Spiritual Reading Group at the Carmelite Library on the ancient Japanese religion of Shinto. Frederic Myers, a pioneer in psychical research in the 19th century in England is quoted by William James, the American pioneer psychologist and brother of Henry James. “'Being', a fundamental energy that supports and animates everything that exists. Being is transcendent...From the documents of later Neolithic and pastoral societies, we know that Being rather than a being was revered as the ultimate sacred power. ….Certain objects became eloquent symbols of the power of Being... a stone or a rock (frequent symbols of the sacred) expressed the stability and durability of Being; the moon, its power of endless renewal; the sky, its towering transcendence. None of these symbols was worshipped for in itself. People did not bow down and worship a rock..., the rock was simply a focus to the mysterious essence of life. Being bound all things together, humans, animals, plants, insects, stars and birds all shared the divine life that sustained the entire cosmos. People felt it natural to imagine a race of spiritual beings of a higher nature than themselves that they called 'gods'. ….unseen forces at work in the world – wind, heat, emotion and air – these were often identified with gods. The sacred place was one of the earliest and most ubiquitous symbols of the divine. ….it brought heaven and earth together and where the divine potency seemed particularly effective. …...imagining this fructifying, sacred energy welling up like a spring... people settled close to these places so as to live as closely as possible to the wellspring of Being. Ko-Shinto – the way of spirits was the ancient form of Shinto practised in the period known as the Jomon Period from C11000-300 BCE. The Japanese people followed this nature-based religion without any doctrine or creeds because they had no written texts. A pantheon of goddesses and gods – kami - were everywhere in their creation myths and they believed that every natural feature was imbued with spirits – kami- which were to be worshipped and attended to at certain times and for celebrations. Kami had both good and evil powers; just as nature is both creative and destructive and life brings both harmony and conflict, war and peace. The Japanese had no writing system prior to the introduction of the Chinese texts. The first record of Japan comes from the Chinese dynastic histories, (C56CE). The earliest known examples of Japanese writing, dating back to the 5th and 6th Centuries A.D., are proper names inscribed with Chinese characters on a sacred mirror and a sword. We have had to rely on Chinese and Korean observations and much later (circa 712CE) Records of Ancient Matters and the Chronicles of Japan (circa 720 CE), written by Japanese scholars. So, we are left with writings that are far from reliable, but which attempt to provide an historic background Some of the Chinese and Korean observations though are helpful in gaining an insight into Japanese life and culture, albeit seen from another cultural point of view. Helpfully, the Chinese describe the country – 'The people of Wa live on mountainous islands in the ocean.” (De Bary p. 5). So, we can understand why precious natural features to the Japanese are water – the ocean, rivers and springs; the mountains and the sky, in particular, the sun. These natural elements are the foundation of the ancient myths that underpin Shinto. Scholars have discovered that Shinto is an amalgam of several ancient forms of religion – shamanistic and animistic practices which seem to stem from the mainland, and other very local beliefs and practices which are related to place . The Chinese also observed, with interest, that women in Japan seemed to be equal to men in the way they lived, worked and practised Shinto. For these ancient Japanese people, living on islands (around 6,800 of them) shaped their spiritual beliefs and practices. As hunter gathers they took much of their food from the sea and thousands of rivers; they took natural vegetation and it is believed they grew some small crops; hunting for animals such as deer, hares, boars and eating birds such as pheasant. Their world was full of potential disasters though, tsunami, earthquakes and typhoons which caused flooding. Japan's natural environment provided the people with rich sustenance, and thus the people felt they were instruments of the kami who worked through them in whatever they did. Probably the most sacred sites for these early residents of Japan were the mountains where great rocks and great forests were to be found. These natural wonders were filled with kami and the most sacred mountains, rocks, caverns and forest trees were set aside by specially knotted ropes (made from plants) and with simple gateways or square arches to designate their separateness from the secular life of the people. These places became known as 'shrines' and the 'gates' are known as tor ii. Probably certain men and women acted as shamans at these shrines offering simple rituals for the people – we know that ritual washing was vital to any Shinto practice for purification purposes. Modern Shinto practice is to wash the hands and mouths before a shrine. What is unsure is the question of sorcery or witchcraft to deal with evil kami or demons. The Chinese visitors noted that a certain empress was a witch and practised sorcery. There is also no evidence of sacrifices, such as existed in other ancient religious practices. We know that certain life events, such as birth, illness and death were all unclean in some way. People tainted by these events could go to their local sacred 'shrine' and carry out cleansing rituals using water and prayers to the local kami. In ancient times a shaman or priest was not required for these rituals. Japan's natural environment provided the people with rich sustenance, and they believed they were instruments of the kami who worked through them in whatever they did. What we would call 'religion' was, for these people, about living and practising simultaneously. The Kami are not necessarily good – they have both good and evil powers. They understood that the forces of nature are both constructive and destructive and life brings both harmony and conflict; war and peace. Out of this ancient world came a pantheon of Gods and Goddesses. The most important of these is Amaterasu (The person who makes the Heavens shine– the Sun Goddess and divine ancestor of the imperial family. She was the daughter of the Izagani-no-mikoto (August Male) who descended from Heaven to procreate with his wife and sister Izanami-no-mikoto and create the islands of Japan and then a series of gods and goddesses. Amaterasu was born from her father's left eye, Tsukiyomi, the moon god was born from his right and the god of storms, Susano (Raging Male) emerged from his nose. Amaterasu was given sovereignty over heaven and earth. She sent her grandson, to earth bearing the three sacred symbols – a sacred mirror, a magical sword and a wonderful, green fertility jewel. style of a rice-barn and is situated within a compound that only designated people can enter. It is rebuilt every 20 years to exact design and using the exact timbers as the original by builders from the ancient families who have rebuilt the Shrine for generations. Within the inner shrine the sacred mirror of the Goddess is held. An outer shrine is dedicated to the rice goddess. The grounds around this shrine are spread with many special stones of differing colours and sizes for different areas. The gardens are designed to reflect the natural environment surrounding the shrine and the forests outside the walls of the shrine are considered to be most sacred and few are allowed to enter them. There is evidence that around the 3rd century CE, ideas about the afterlife were more defined – some legends claim that the dead go to a place called yomi that is very like the Greek Hades and which is separated from the earth by a river. Later myths speak of resurrection and descriptions of the heavenly place. 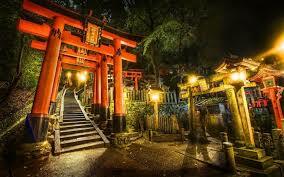 Shinto tends to be negative about death, which is a source of pollution called kegare. However after death many special individuals are enshrined after death, for example the Emperor Ojin (200-312 CE) was enshrined as the Hachiman the God of War. It is difficult to describe Ko-Shinto because (apart from traditional practices and beliefs) the records we have come down to us as reports from other cultures. However, because some reports are detailed they do show curiosity and wonder of some aspects of the beliefs and practices of the ancient Japanese. The courts of China and the Korean Kingdoms were remote from the Japanese islands, but archaeology shows that there was seepage of beliefs and customs from the mainland before the formal visits of court envoys. Evidence of hydrology, rice growing and thus a gradual changing of how people actually lived, exists now. “Shinto, however, certainly has its own way of thinking and feeling as well as its own distinctive world view that cannot be adequately contained within the western concept of religion. Underneath an array of expressions that ostensibly have no pattern, Shinto is filled with a world of faith.” The Essence of Shinto Motohisa Yamakage, Tokyo 2000. On Tuesday the 20th of June Jenny Raper presented an introductory paper for the Spiritual Reading Group on the ancient Japanese religion of Shinto. This included a reading and discussion of Norito prayers, reprinted below. 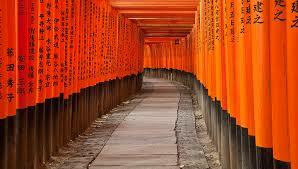 Norito – Words or prayers addressed by worshippers to a deity. The efficacy of the prayer is founded on the concept of koto-dama, the spiritual power of words. Words that are beautiful and correct bring about good. Words that are coarse or ugly bring about evil. So, the words used are profoundly important. Words that were classical and elegant were always used. Here are excerpts from The Great Exorcism of the last days of the sixth months. …..are called the heavenly sins. The sin of violating a child and her mother. Many sins (such as these) shall appear. Pronounce the heavenly ritual, the solemn ritual words. Will hear and receive these words. Each and every sin will be gone. There will be no sins left. From the summits of the high mountains and the summits of the low mountains. After the great exorcism come the propitiatory offerings. And will as deities dwell there pacified. With this prayer, I fulfill your praises. Thus I humbly speak. A Library member, reading our copy of Pierre Teilhard de Chardin's 'The Phenomenon of Man' (Collins, 1959), found this Warning inside the book. 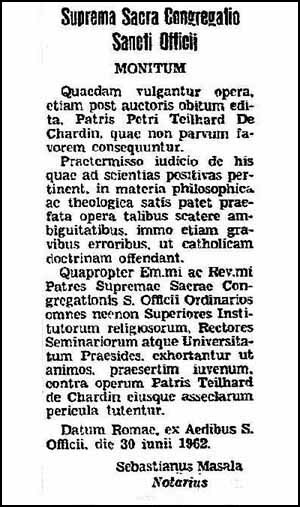 It is a notice translated from the Latin of the Holy Office that appeared in L'Osservatore Romano on the 1st of July, 1962. 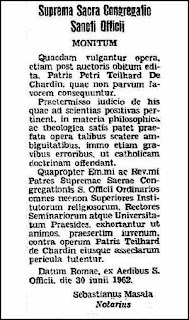 Written on the Eve of the Second Vatican Council, the words read curiously now in a time when Teilhard de Chardin has been acclaimed by Pope Benedict XVI and others for his visionary writing. Scholars are discovering that he also had a strong influence on the thinking of many attendees at the Council. The things you find in books. In 1995 the Australian and New Zealand Theological Library Association published a Festschrift in honour of Dr Lawrence McIntosh, librarian of the Joint Theological Library (now the Dalton McCaughey Library) in Parkville, Melbourne. This book has just been given a new lease of life online, due to the good graces of the American Theological Library Association. I was asked to write a foreword to the new impression, which follows here. The year that this Festscrift was published is now seen as a time of great sea change, from a library world based firmly on the book to a world of almost infinite resource variety. Librarians were caught right in the middle. The signs of this change had been coming for some time, engendered by technology’s genius for new forms of information storage and retrieval. The change did not make the book outmoded, despite the many fears expressed at the time in the form of Gutenberg elegies. Rather, the sea change brought new formats, rich and strange, and with them the challenge to find our own imaginative responses. Belonging to an association of like minds, albeit not all of them digitally native, was a blessing as we progressed from our card-carrying card catalogue days into a time of diversification and information overload. 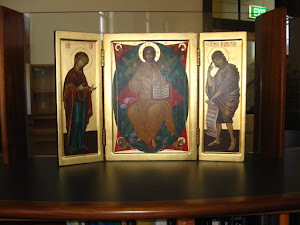 From its inception, the Australian and New Zealand Theological Library Association thrived, based on meeting the professional needs of its members. Sensitivity to presenting issues has always happened in an environment where the value and meaning of our collective inheritances have been upheld. The necessarily ecumenical nature of the Association has been a main cause of its success. The sharing of different traditions, with their varying purposes and styles, has been educational for all librarians who have encountered it; they have joined in with the possibilities. A creative exchange has been established and maintained. The consequent creation of quality products with the ANZTLA brand has been one practical and fruitful outcome. The Association was never going to fit into the special interest group categories of a national library association: our numbers were always too large, our needs multiple and complex. Nor would it fit in as an adjunct to any theological association, something satisfactorily explained in the existing histories: theologians were never going to fully understand or appreciate the expectations of their librarians, or give them the indefinite time and attention required adequately to address those expectations. The Association came into being by launching itself free of any parental body, making its own way and developing its own character. Browsing through the Festschrift today one is sensitive to the great achievements made by the Association in that short space of time since the landmark consultation of 1983. Raised consciousness about collection development, special collections, specialist religious issues in acquisition, cataloguing, reference and so forth had been reached quickly by close collaboration and a growing trust in our mutual endeavours. The Association has always had the knack of identifying the main issues at stake in our work, then acting to solve them within its limited means. This talent emerged early. One also notices more work to be done. Trevor Zweck’s admirable history of ANZTLA describes how several people seemed to have the idea for ANZTLA, or at least saw the need, at about the same time. However, subsequent research has revealed that different cities of mainland Australia now lay claim to the genesis moment, with agreement nowhere in sight. Cards may see this as a typical symptom of Australian life, an opportunity for argument deep into the night in defence of local claims. More than likely though, as with most things, it was a New Zealander who actually first had the idea. The Festschrift contains useful histories of theological libraries. 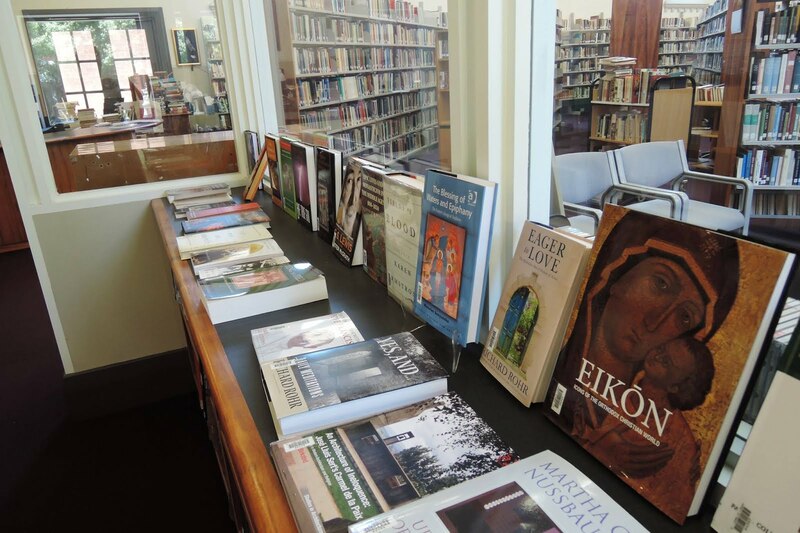 It reminds us there is still much work to be done too on the history of the book in the Antipodes and its relation both to religious learning and theological education. There is still much work to be done on the history of religious publishing in this part of the world and how it expresses the life of nations with sometimes ambivalent attitudes about religion in public life. Patterns of educational reform across church traditions and their meaning in regard to faith life is another subject for our consideration. 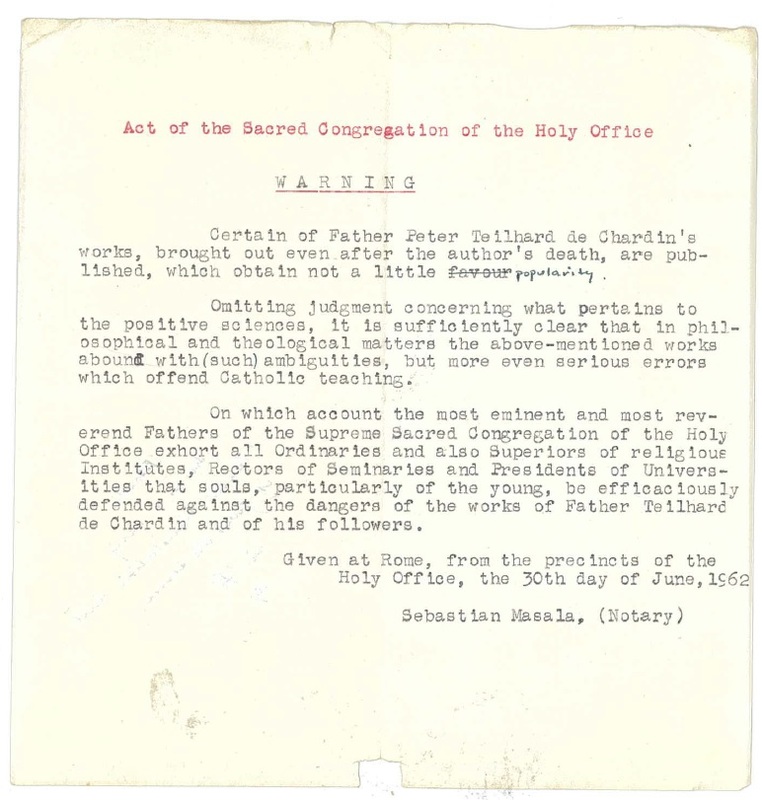 One is amazed all over again at the work of researchers like Coralie Jenkin, who put together directories of theological and religious libraries with meticulous attention to detail. Detail, indeed, that one sometimes wonders is there online, now that library directories rely on the individual input of the institutions themselves. Her lists include records of private collections of scholars, clergy and enthusiasts that were a decisive subject guide for individual researchers. The concrete nature of the Book made such lists possible, they were locatable in time and space. One wonders if the same can be said for the mercurial nature of online directories and repositories. The Association thrives today because of the willingness of its members to ask the hard questions about their work needs and demands in the reality of a changing resource environment. Also, their ready willingness to work together and serve each other in the interests of common objectives, which continues due to the enabling existence of an energetic and committed Association. The friendly annual conference is where so much of this is recognised and the tasks addressed. The lively sharing of information on the e-list ANZTLA-Forum and at chapters meetings is essential to our forward purpose. This Festschrift is one basic resource for anyone wanting to know about ANZTLA. It is good news, and we are grateful indeed, that the American Theological Library Association sees fit to make it available here as well.